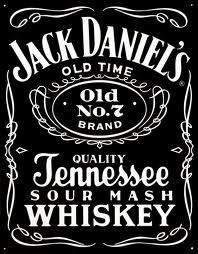 Jack Daniel's is a brand of sour mash Tennessee whiskey that is among the world's best-selling liquors and is known for its square bottles and black label. Although the product generally meets the regulatory criteria for classification as a straight bourbon, the company disavows this classification and markets it simply as Tennessee whiskey rather than as Tennessee bourbon. It is produced in Lynchburg, Tennessee by Jack Daniel Distillery, which has been owned by the Brown-Forman Corporation since 1956. Despite being the location of a major operational distillery, Jack Daniel's home county of Moore is a dry county, so the product is not available for consumption at stores or restaurants within the county, although the distillery does sell commemorative bottles of whiskey. According to the Jack Daniel's website, founder Jasper Newton "Jack" Daniel was born in September 1846, although seemingly no one knows the exact date because the birth records were destroyed in a courthouse fire. If the 1846 date is correct, he might have become a licensed distiller at the age of 20, as the distillery claims a founding date of 1866. Other records list his birth date as September 5, 1846, and in his 2004 biography Blood & Whiskey: The Life and Times of Jack Daniel author Peter Krass maintains that land and deed records show that the distillery was actually not founded until 1875. Daniel was one of thirteen children to Calaway Daniel and Lucinda Cook. Jack Daniel's grandfather, Joseph "Job" Daniel emigrated from Wales as did his Scottish wife to the United States. He was of Welsh, Scottish, English, and Scots-Irish descent. Jack died in 1911 from blood poisoning which started from an infection. The infection allegedly began in one of his toes, which Daniel injured one early morning at work by kicking his safe in anger when he could not get it open (he was said to always have had trouble remembering the combination). 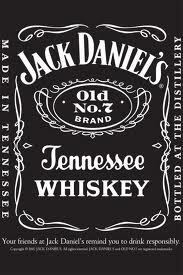 Jack Daniel never married and did not have any children. However, he took his favorite nephew, Lem Motlow, under his wing. Lem was very skilled with numbers, and was soon doing all of the distillery's bookkeeping. In 1907, due to failing health, Jack Daniel gave the distillery to Motlow, who then bequeathed the distillery to his children, Robert, Reagor, Dan, Conner, and Mary, upon his death in 1947. Tennessee passed a state-wide prohibition law in 1910, preventing the legal distillation of Jack Daniel's in the state, and as a result Lem Motlow moved the distillery to St Louis, Missouri and Birmingham, Alabama, though none of the production from these locations was ever sold due to quality problems. The introduction of prohibition in 1920 (until 1933) through the Eighteenth Amendment to the Constitution stopped production in St Louis; production in Alabama having been stopped earlier by that state's prohibition laws. All production then ceased. Even the Twenty-first Amendment enactment in 1933 repealing federal prohibition did not allow production in Lynchburg to restart, as the Tennessee state prohibition laws were still in effect. Motlow, as a Tennessee state senator, helped repeal these laws, allowing production to restart in 1938. The five-year gap between national repeal and Tennessee repeal was commemorated in 2008 with a gift pack of two bottles, one for the 75th anniversary of the end of prohibition and a second commemorating the 70th anniversary of the reopening of the distillery. The U.S. government banned the manufacture of whiskey during World War II and a little beyond, from 1942 to 1946. Motlow resumed production of Jack Daniel's only in 1947 after good quality corn was again available. When the company was later incorporated, it was incorporated as "Jack Daniel Distillery, Lem Motlow, Prop., Inc." This has allowed the company to continue to include Lem Motlow, who died in 1947, in its marketing, since mentioning him in the advertising is technically just citing the full corporate name. Likewise, the advertisements continue to say that Lynchburg has only 361 people, though the 2000 census reports 5,740. This is allowable because the entire label was trademarked in the early 1960s when this figure was the actual population cited by the Census Bureau; changing the label would require applying for a new trademark or forfeiting trademark protection. However, the census population includes all of Moore County, as the county and city governments are consolidated. Moore County, where the Jack Daniel's distillery is located, is one of the state's many dry counties. Therefore, while it is legal to distill the product within the county, it is illegal to purchase it there. However, a state law has provided one exception: a distillery may sell one commemorative product, regardless of county statutes. Jack Daniel's now sells Gentleman Jack and Jack Daniel's Single Barrel at the distillery's White Rabbit Bottle Shop. Tennessee whiskey is filtered through sugar maple charcoal in large wooden vats prior to aging, unlike the process used to make Kentucky bourbon. Tennessee whiskey is not bourbon whiskey, as defined by Title 27 of the Code of Federal Regulations, Chapter 1, Part 5, Section 5.22. However Tennessee whiskey is defined as a bourbon under terms of the North American Free Trade Agreement. Jack Daniel's historically has been produced at 90 U.S. proof (45% alcohol by volume), and the company's website states "This is the old-time whiskey made as our fathers made it. Remaining true to Jack Daniel's original recipe and charcoal-mellowed character means folks today enjoy the same sipping whiskey awarded seven international gold medals." Nonetheless, in October 2004, it was announced that all generally-available Jack Daniel's products would thenceforth be bottled at 80 proof. However, a one-time limited run of 96 proof, the highest proof Jack Daniel's ever bottled, was bottled for the 1996 Tennessee Bicentennial in a decorative bicentennial bottle. The reason stated for this was that the distillery's marketing had found that customers preferred a lower proof whiskey (although the distillery debuted their 94 proof "Jack Daniel's Single Barrel" in February 1997); this also simplified the production process. This reduction in alcohol content was condemned by Modern Drunkard Magazine and a petition was formed for drinkers who disagreed with the change. Previously, the famous black-label brand (the better-quality, higher-priced product) had been 86 proof, where legal, while the lower-end green label was 80 proof. This was the second reduction in alcohol content since the Brown-Forman Corporation bought the distillery in 1956. They had previously reduced the alcohol content from bottling the black-label product at 90 proof and the green-label product at 86. Both were made from the same ingredients; the difference was determined by professional tasters, who determined which of the batches would be sold under the higher-priced black label, the rest being sold under the green label. After the lowering of the black label bottlings to 80 proof, there is no longer a difference between the proof level of the black and green label bottlings.